We all know by now that nothing good lasts forever, and it seems Instagram is no exception! There’s been quite a hassle lately over Instagram’s updated Terms of Service, causing lots of users to simply quite the hipster photo App. Claiming to clarify and tone down the outrage, Instagram has posted a response today stating that they “are listening”. Non Instagram lovers might be asking themselves: “What’s all the hassle about anyway?” Well, the major issue was about selling users’ images and having those used by advertisers for free and as they pleased. 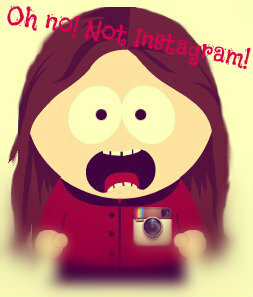 However, the Terms of Service do not in fact give Instagram the power to do so. Yet, Kevin insists that the new TOS updates come as a way of experimenting with ads without spamming. This is ideal for businesses that look for further exposure and gaining more followers and likes. So, to achieve more significant and relevant promotions, it would be beneficial to view which of the people you follow also follow this business. This way the actions you do (such as following the account) as well as your profile picture could appear, if you are following this business. This is not a new method; Google already connects you with ads and Facebook also pushes the promoted posts. Kevin, yet, still insists that the ownership rights of every image shall remain with its users. Instagram does not and will not claim any ownership, and private users don’t have to worry since only their followers can actually view their snapshots. Don’t be naïve though and remember we’re living in a materialistic world where you have to pay for everything; free services might are not free for no reason since they always tend to look for ways to make money through the users’ data. One must always remain attentive as to what is happening around but not too melodramatic. Yet, always be true to yourself and know that you are inevitably paying for everything somehow, even if it is not with money. Next This is the end…Hold your breath, grab these Apps and count to 10! Previous Still stuck in the stone age? Here’s why you should drop Internet Explorer forever!